blind men and elephant fish 맹인들과 코끼리 물고기: 2014 at the Maru and Aquanuts Divers.......and the all new Joy's Place in Mzuzu! 2014 at the Maru and Aquanuts Divers.......and the all new Joy's Place in Mzuzu! Well its a new year and full of new opportunities. 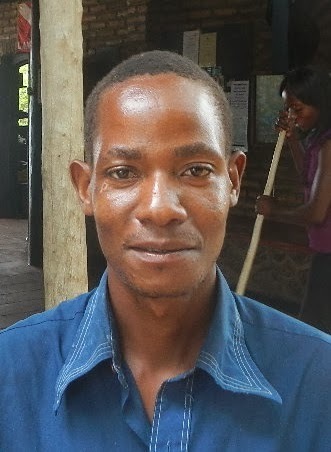 Down here on Kande Beach we have been continuing to explore beautiful Lake Malawi from above and below and to help us in this we have a new team member, Edward! - Edward, hails from just down the beach and has experience both in the dive industry and as a swimming instructor. He is going to be helping us both at Aquanuts and the Maru to give a helping hand to David with the diving and bring greater continuity and a local touch to our research programs. We are really looking forward to what more we can do at the Maru with his help. - Next we are very excited about a new venture we have been working hard on in the capital of Malawi's northern region, Mzuzu. Named after its owner and resident chef, Joy, Joy's Place will be Mzuzu's new comfy and funky backpackers with its own in-house restaurant serving up delicious Korean food. Whether you just want a bite to eat or a bed for the night you will always be welcome at Joy's Place! Come check us out in the Mapale district of Mzuzu just behind the Shoprite.